Socioeconomic disadvantages are known to be able to affect a person both psychologically and psychically, and so are other environmental factors. Adversities and problems have long been regarded as contributors to shorter life expectancy, but it remains unknown what changes they induce in the body. New research suggests rough childhood causes cells to age prematurely. It appears to be obvious that poor living conditions in childhood have an impact on health. However, the mechanisms involved are still a mystery: what is it that makes our body respond in such a way to the stimuli and problems the environment challenges it with? How exactly do conditions affect biological processes going on within us? One of the theories, which has recently been supported by new evidence, holds that aging processes are involved in it. One of the processes that enable researchers to determine the biological age of a person is DNA methylation. The term denotes a change in the genetic code that does not result in changes in DNA sequence but alters gene expression by means of adding a methyl group to it (or removing it). Methylation is crucial for normal development, but it is a double-edged sword, as it is also associated with carcinogenesis and other processes. Methylation patterns change as a person ages, which means estimation of one’s biological age can be carried out via a blood sample analysis. Since gene methylation means alteration of gene expression, the risk of diseases increases, as so does mortality, when more methylation-induced epigenetic changes occur. A recent study has shed some light on the issue of whether environmental factors can contribute to methylation and actually accelerate it. 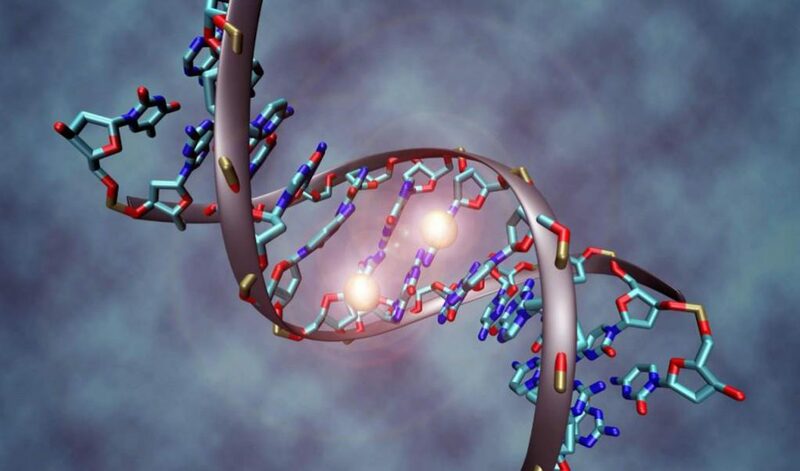 A team of researchers from University of Essex has reported that there could be a link between DNA methylation age and the impact of socioeconomic disadvantages. The scientists analyzed blood samples provided by 1,099 adult volunteers from the UK and collected information on their socioeconomic background and conditions for 12 years, which included income, level of education, and employment status. Another important parameter, which was also taken into account and turned out to be associated with methylation-accelerating processes to a greater extent than others, was the occupational social class of the participants’ parents at the moment when the volunteers were only 14. Having analyzed the data, the scientists found that only occupational social classes correlated with the biological age. If the volunteers’ parents worked in professional or managerial roles, it was associated with being roughly 1 year biologically younger than those whose parents had a semi-routine or routine occupation. The gap between the children of professionals and those whose parents did not work or died was even more significant: these participants were 1.85-2.4 years ‘older’. Another interesting finding was that it is children who are sensitive to socioeconomic disadvantages: adults turned out to be surprisingly unaffected by them. The study results were adjusted for actual age, BMI, and smoking habits of the participants. The study highlights the need for better child care, as being disadvantaged takes its toll on a child’s health, and the risk of diseases and premature death also increases due to being biologically older than the chronological age. The scientists discovered that the factors in question do contribute to DNA methylation-related aging acceleration, but it remains unknown what particular aspects of it are most dangerous and how exactly they affect the body.